Here’s a gorgeous example I scanned of Polly and Her Pals with a Sweethearts and Wives header strip from 1930 by Cliff Sterrett. Sterrett really hit his stride in the late 20’s. Click here to read more examples of Polly and Her Pals at Barnacle Press. 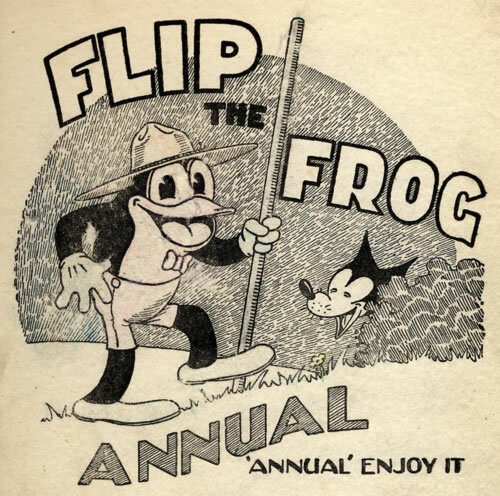 See more examples of Polly and Her Pals from 1936 at the ASIFA Animation Archive. See another beautiful example of Polly and Her Pals at Michael Sporn Animation, Inc.’s Splog. One more example of Polly and Her Pals from Shorpy. One more example of Polly and Her Pals from John K via Bugpowder, where it no longer seems to reside. See some more Polly and Her Pals (and Dot and Dash, a header strip for Polly by Sterrett) at Coconino World. 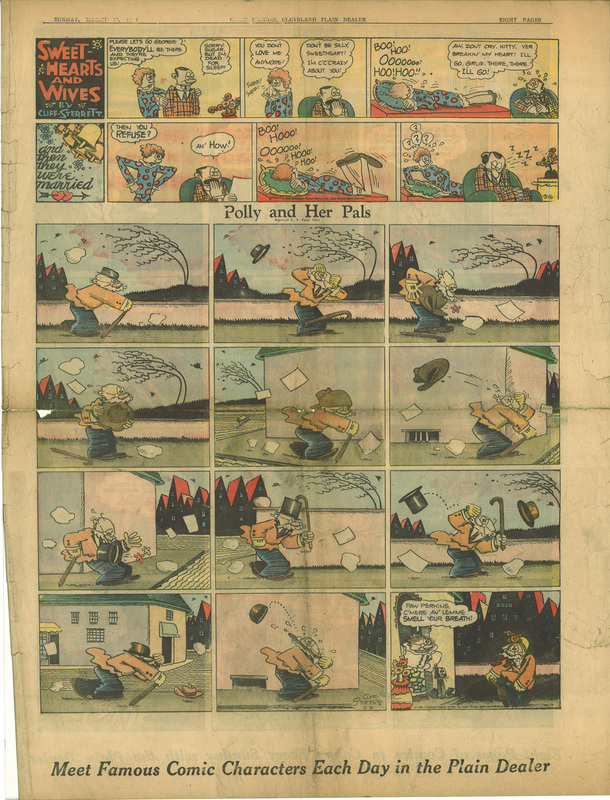 Here are some examples of Polly and Her Pals translated to French, from a French collection of 1929-1930 Polly strips which appears to be in print. 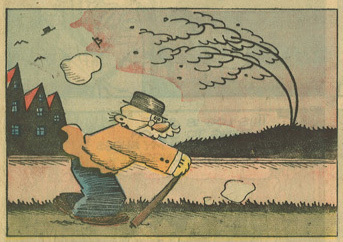 Click here to read more about Cliff Sterrett at lambiek.net. Click here to read more about Polly and Her Pals at Don Markstein’s Toonopedia. 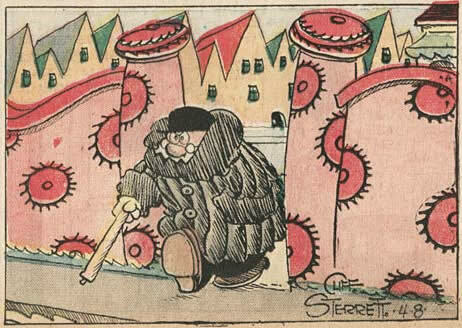 Click here to read more about Cliff Sterrett at stevestiles.com. 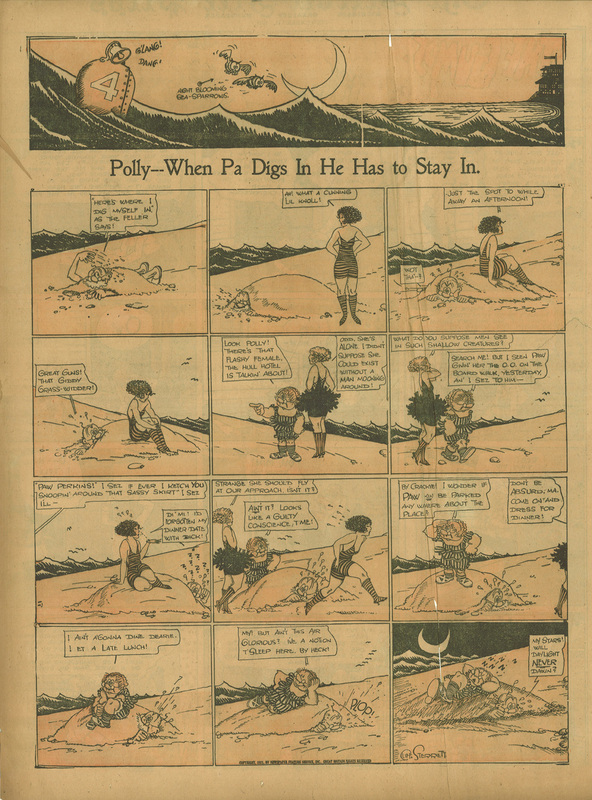 Here’s an example I scanned of Polly and Her Pals from 1914 by Cliff Sterrett. Boy have our friends at the fantastic online comic strip library Barnacle Press been on a roll lately! 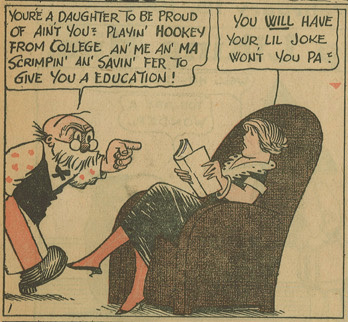 They’ve posted a collection of more of Swinnerton’s Dear Little Katy, which I published examples of recently. 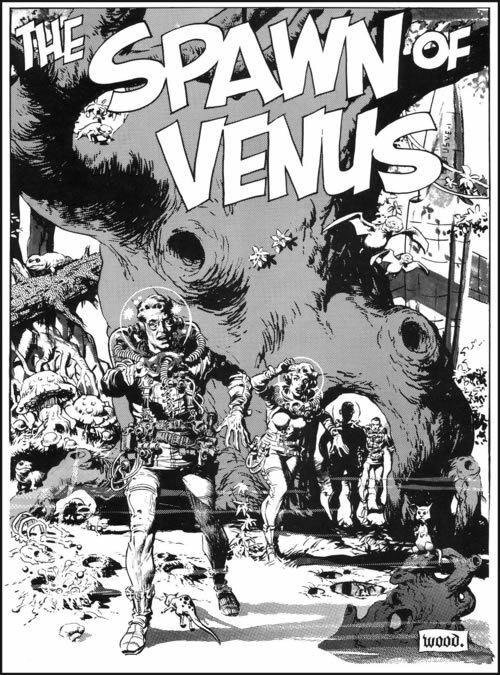 They just posted a bunch of examples of the bizarre and mischievous Uncle Mun (which I’ve also published examples of). 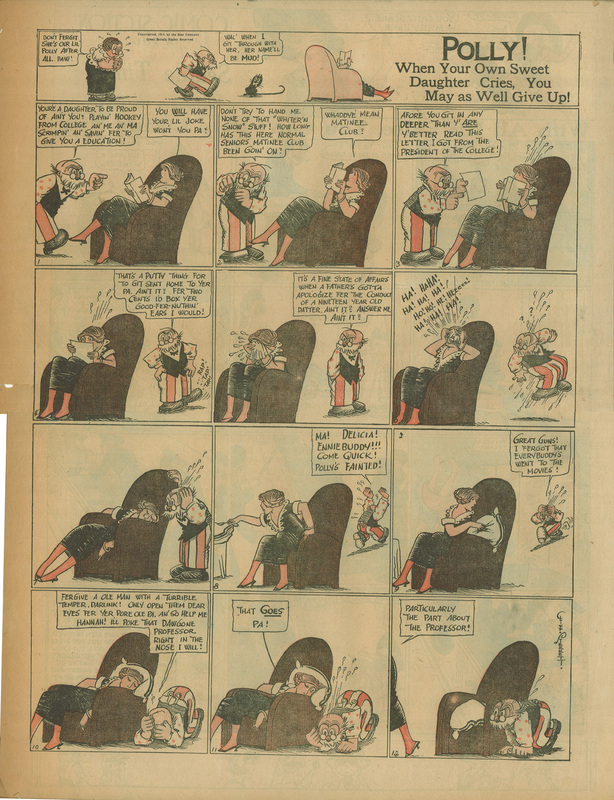 Last week they posted examples of one of the earliest daily comic strips, The Hallroom Boys. Best of all, they put up an enormous library of one of the funniest and most visually inventive comic strips of all time, Cliff Sterrett’s Polly and Her Pals. Don’t miss this one. 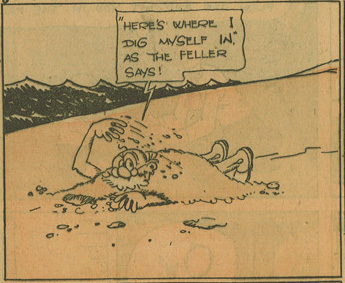 It is a travesty that the few reprint books there have been of this strip are all out of print. 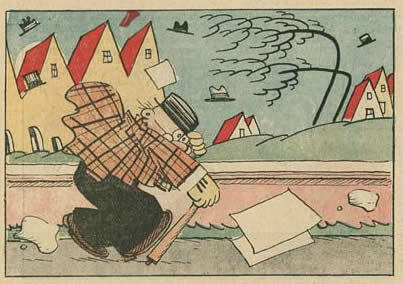 Here’s an example I scanned of Polly and Her Pals by Cliff Sterrett, from 1921. I’ll have a couple more of these this week.